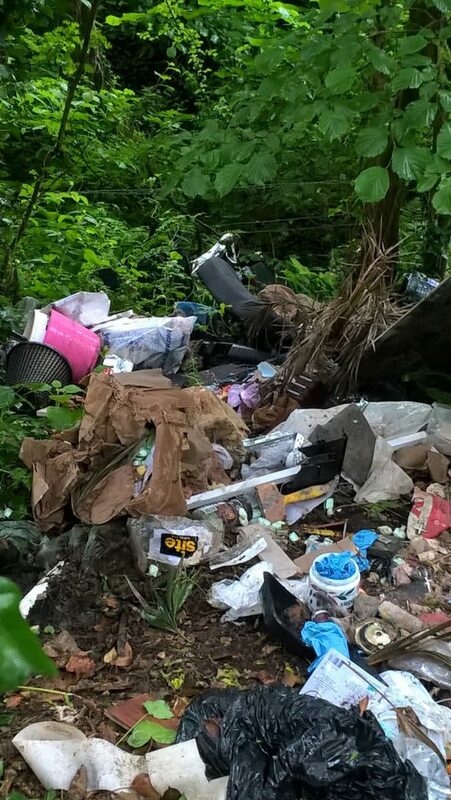 A man from Yate has been ordered to pay a total of £1892.75 in fines and costs after he admitted fly tipping and carrying waste without the required paperwork. Harry Curness, 27, of Lansdown, Yate, appeared before Bristol Magistrates’ Court on Friday 11 November. He pleaded guilty to fly tipping and not having a Waste Transfer Note or a Registered Waste Carriers Licence and was fined £1254.75 and ordered to pay costs of £580 plus a £58 victim surcharge. The court heard that sometime between 1 and 23 June 2016, Curness deposited controlled waste consisting of cardboard, paper, plastics and hairdressing related items, including hair extensions, at Watery Lane, Yate, South Gloucestershire. He was traced after some of the items found fly tipped identified a local hairdressing business, from where he’d removed some of the waste. When interviewed by council officers Curness admitted the offences of fly tipping, and transporting waste without a Registered Carriers Licence and Waste Transfer Note. He stated that he was on his way to the local recycling centre but realised that it would be closed before he could get there and fly tipped it on route. South Gloucestershire Council’s Environment and Community Services Committee Chair Cllr Heather Goddard said: “Fly tipping is an issue that affects our communities and harms the local environment. Unregistered waste carriers undercut legitimate operators, offering to pick up waste on the cheap and fly tipping what they collect. This will not be tolerated in South Gloucestershire and offenders will be prosecuted. There is no excuse to fly-tip; our Sort It Centres are open from 8.30am to 4.30pm, seven days a week.